Traditionally, the music of Colombia is very diverse and strongly influenced by African influences, as evidenced for example in the style of cumbia. 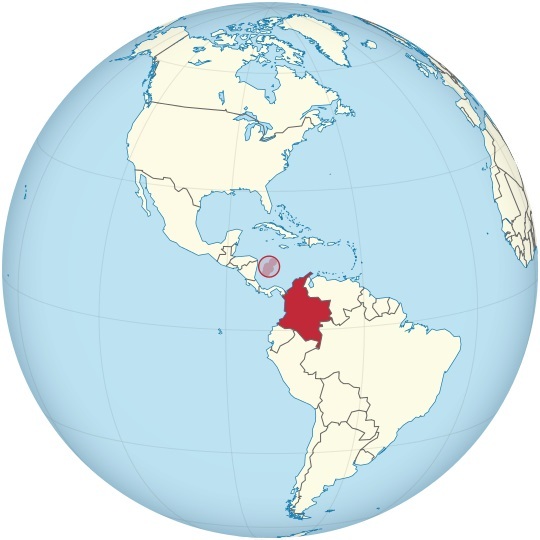 Chance also Caribbean style elements in the Colombian music can be seen in this region. Traditional Colombian music encompasses a mixture of African and Spanish characteristics. The crude percussion instruments and chanted vocals speak of a rich and meaningful history. Cumbia is one of the most recognized traditional Colombian music sounds. The rhythmic and pulsating sounds sparked many popular styles of dance. Many of these are still practiced today, although the modern era enhanced Cumbia and created other genres as well. Unlike the traditional Colombian music, the modern variations of Colombian music has an energetic feel. The Vallenato style of music is considered the pop version of Colombian music and offers all generations a chance to enjoy music in a new way. The newer sounds also introduced many new instruments. Saxophones, keyboards, and trombones can be heard throughout most of the new songs. The popular disco style dances as well as traditional salsa and porro are perfect compliments to modern Colombian music. Colombian Music is so cool! Whether listeners prefer the traditional or modern versions of Colombian music, they will certainly enjoy the beats, lyrics, and meaning behind each song. Both old and new styles offer a peek into the past with obvious influences from West Africa and the Caribbean. The distinctive Spanish vibes and rhythms are unmistakable. Listeners will be transformed by the untold stories behind each beautiful beat. Listeners can enjoy exploring hit-Tuner.net to find Colombian music, plus countless other music genres. There are virtually thousands of internet radio stations available in one convenient location. A whole world of ethnic and culturally diverse music awaits adventurous listeners.